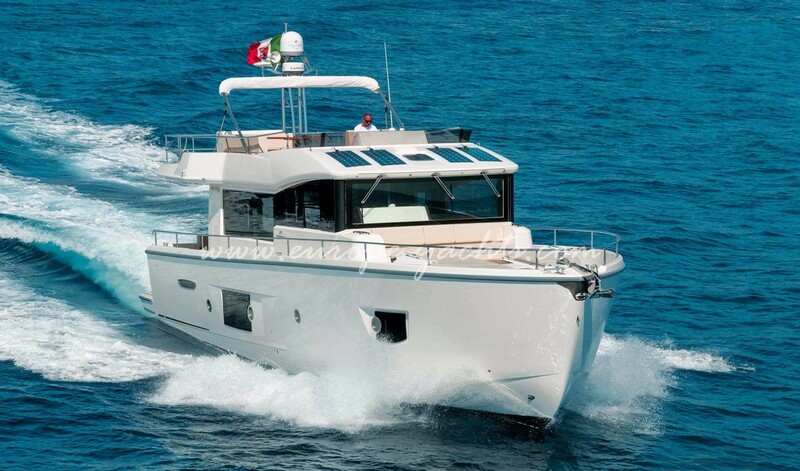 We are delighted to offer you the brand new Cranchi T53 motorboat in our charter fleet for bareboat charter and crewed with skipper and hostess. 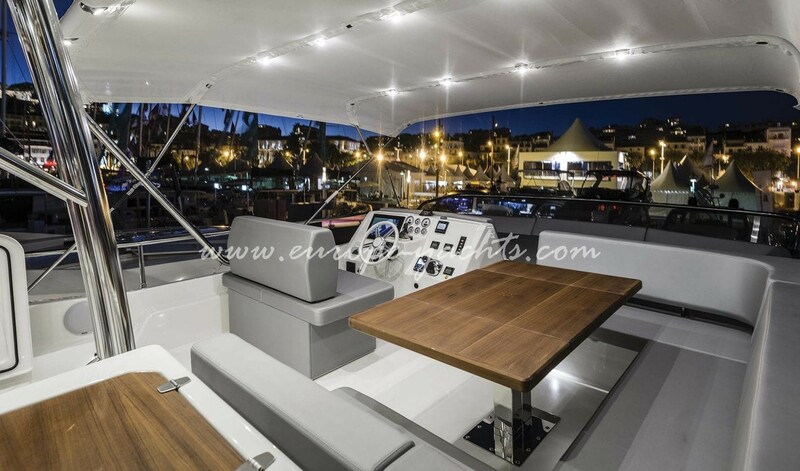 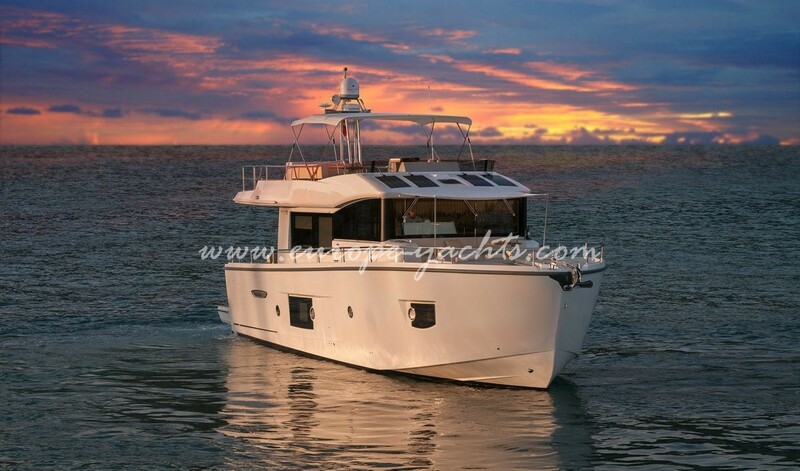 Included with all Beneteau attributes like speed and agility, power with performance, confidence, maneuverability and control the Cranchi T53 Trawler motorboat for rent gives the best of the best from the Beneteau shipyard. 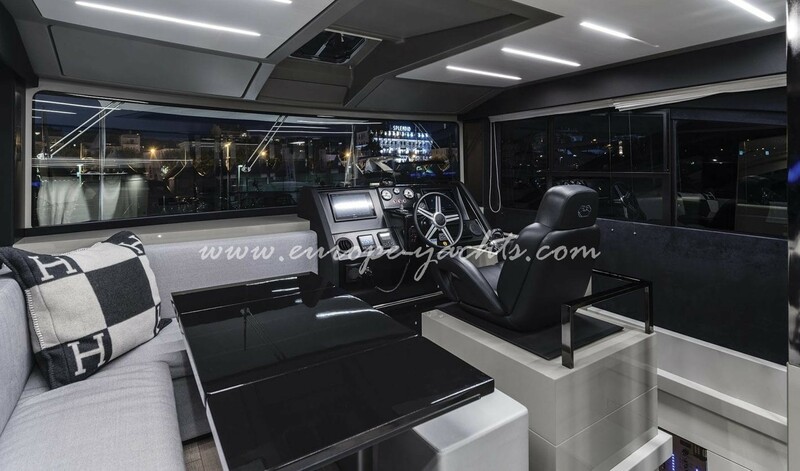 Designed by Sarrazin Design Studio, the new Cranchi T53 is made to maximum optimized space management to give you more comfort and relaxation with speed and reliability. 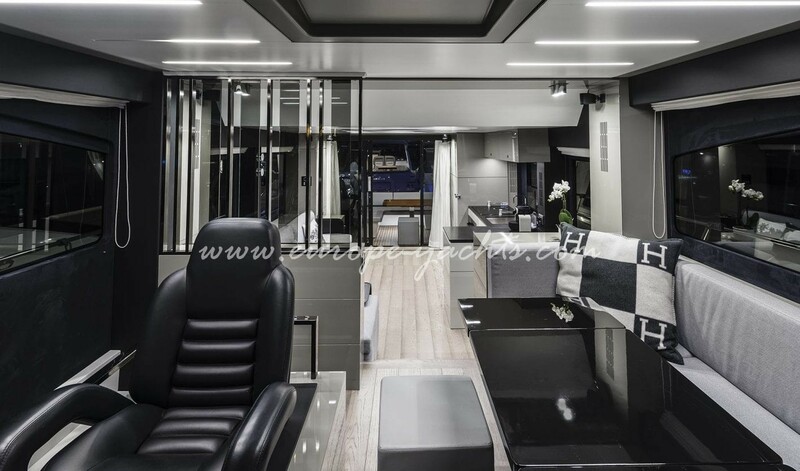 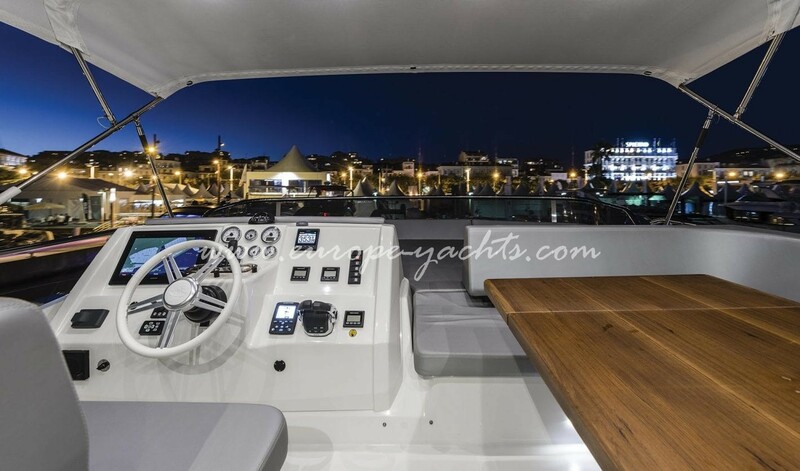 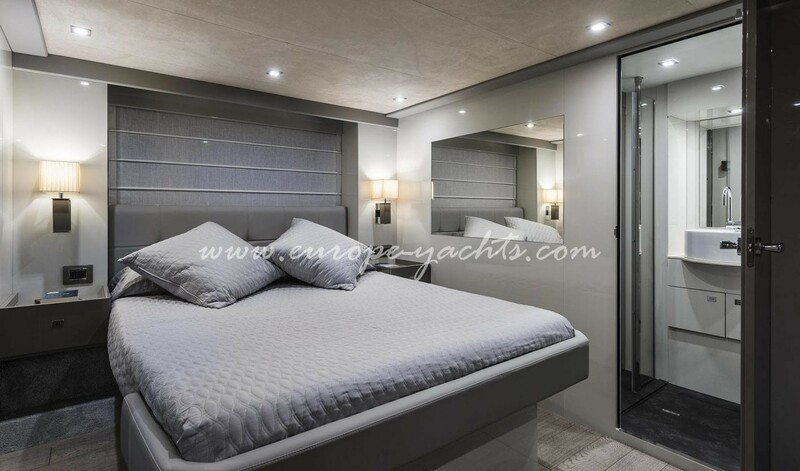 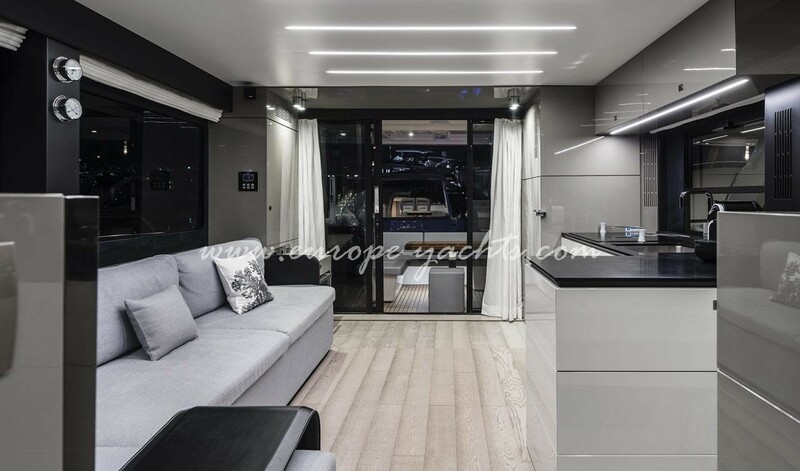 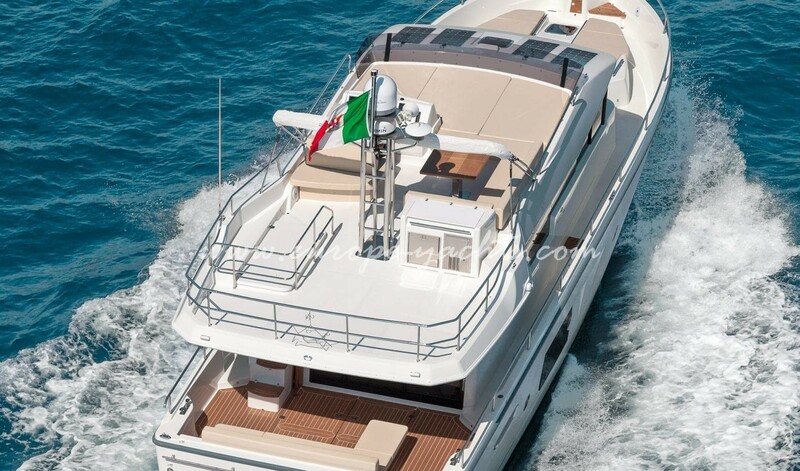 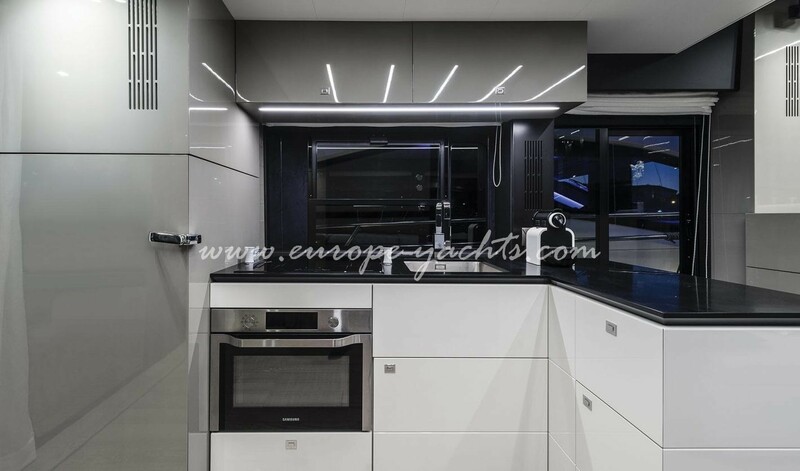 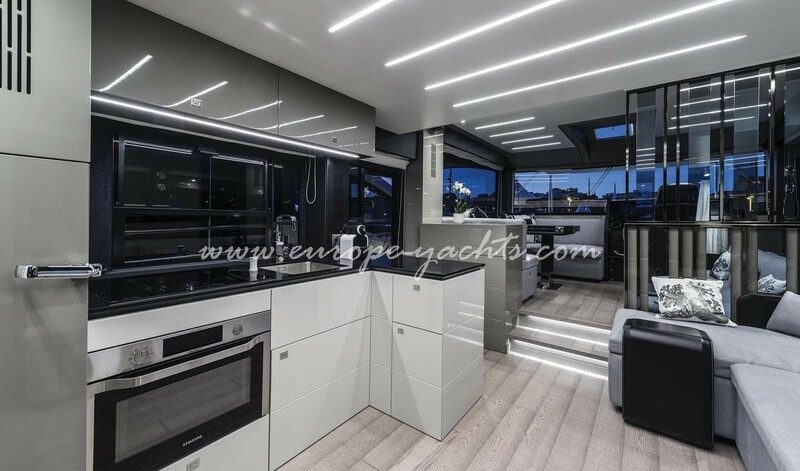 The result is that the interior of the Cranchi T53 feels much larger compared to other 10 m / 34 feet motor boats in our fleet, and the easy handling of this amazing yacht. 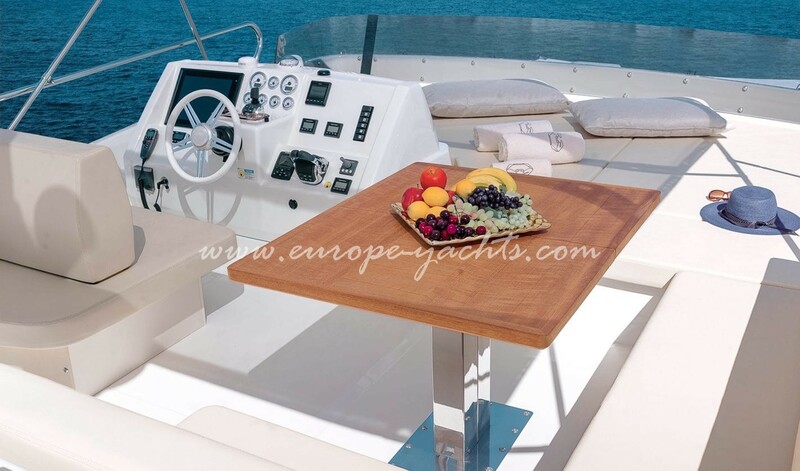 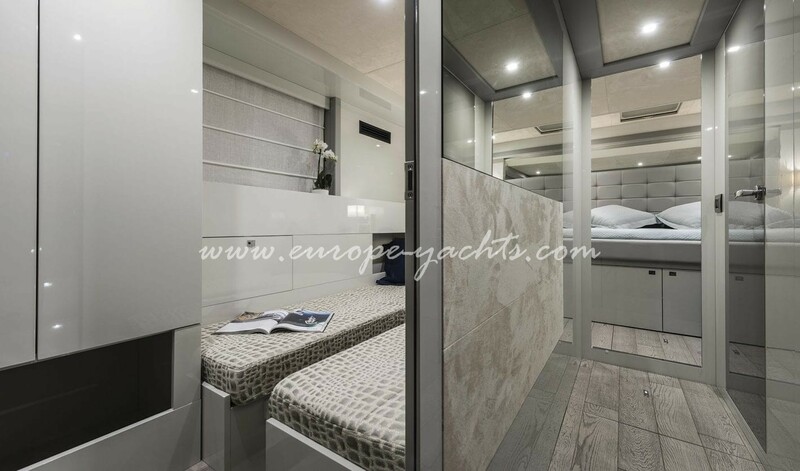 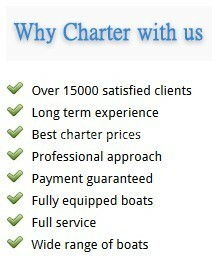 New Cranchi T53 for charter in Croatia has been designed to give you a relaxing and inspiring family feeling. 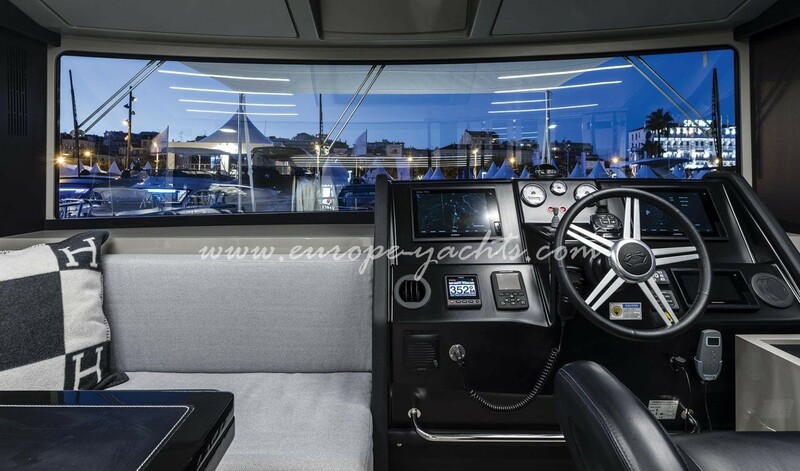 On the deck with the super smart cockpit arrangement having the ergonomics and comfort for guests, and also below deck with amazingly designed cabin with bathroom. 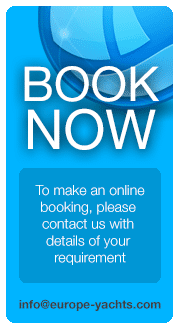 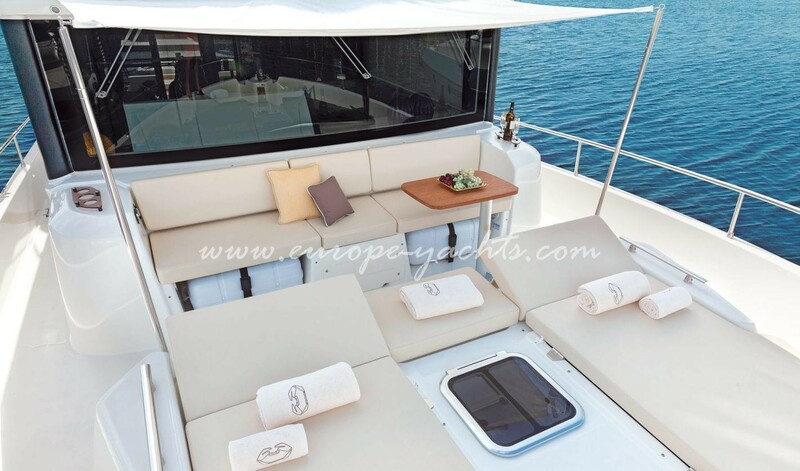 The motor yacht is fully equipped with audio-visual systems including unlimited Wi-Fi internet on board and latest navigation systems. 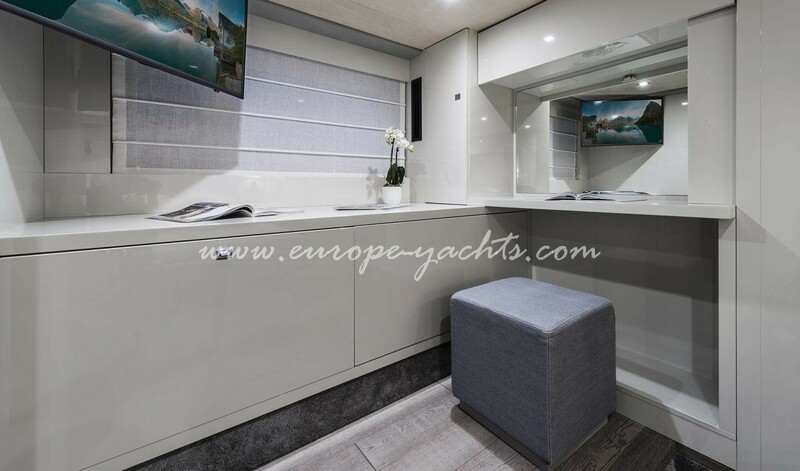 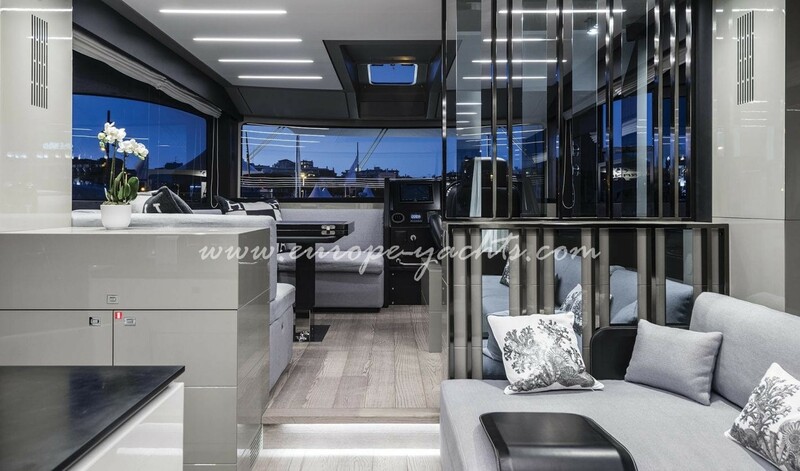 The exterior lines with the amazingly positioned hatches gives you lot of natural light in the saloon and his floor and also in two cabins where delivers a bright, modern yet welcoming and relaxing atmosphere. 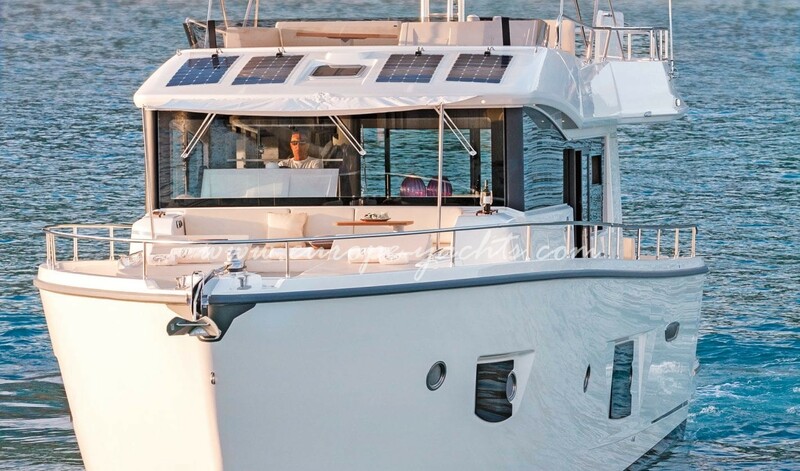 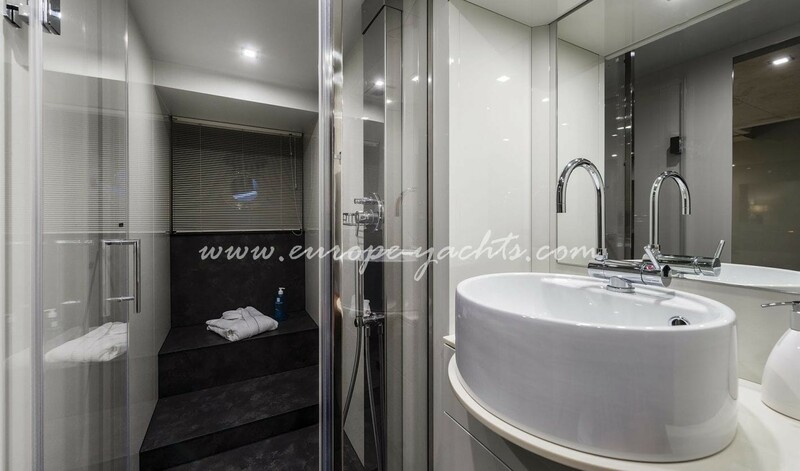 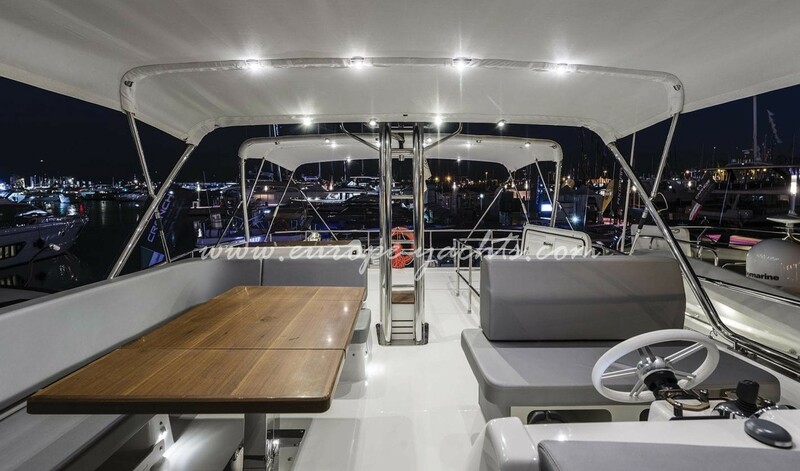 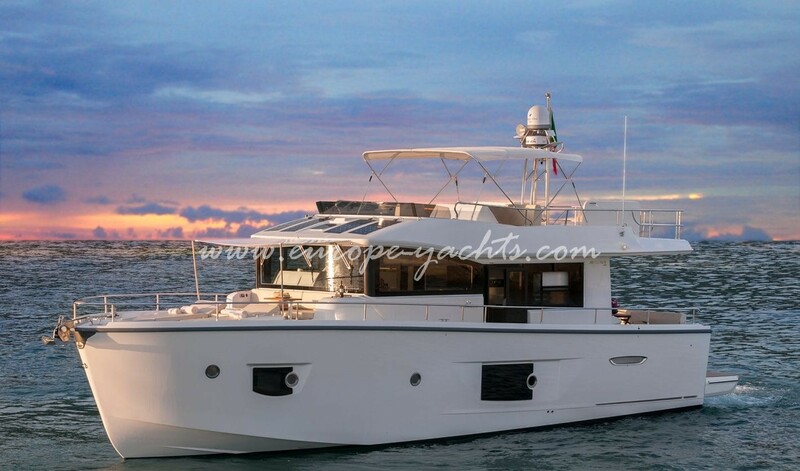 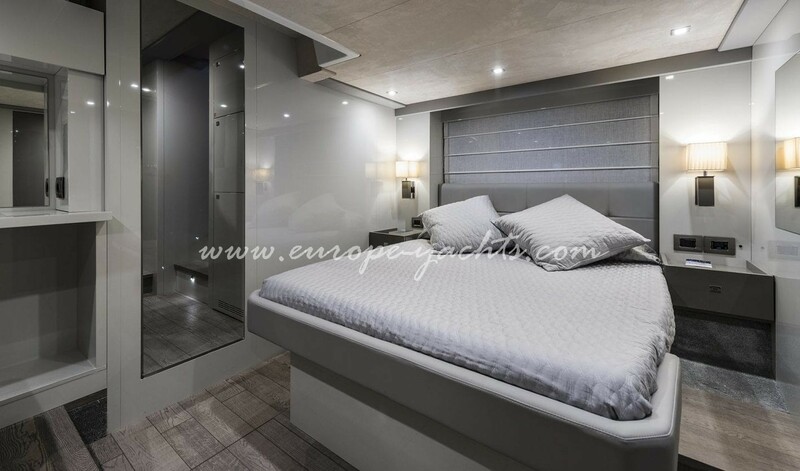 Charter yacht Cranchi T53 Trawler is ideal for couples or families that are seeking for a luxury fast small motor boat that can accommodates 6 + 1 guests in 3 cabin. 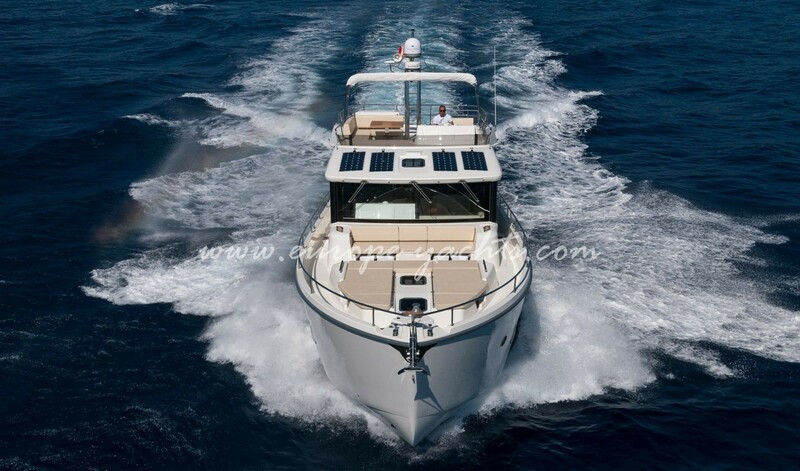 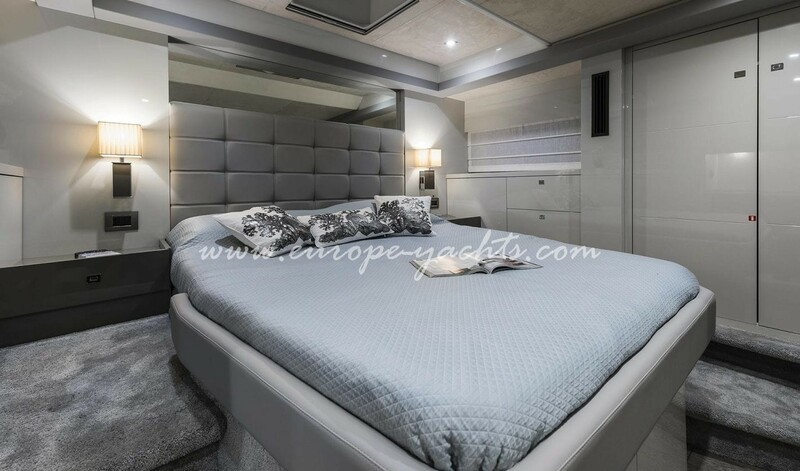 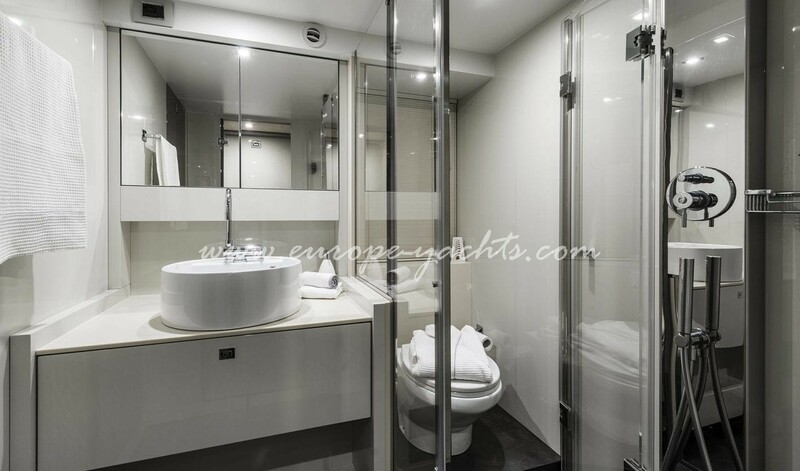 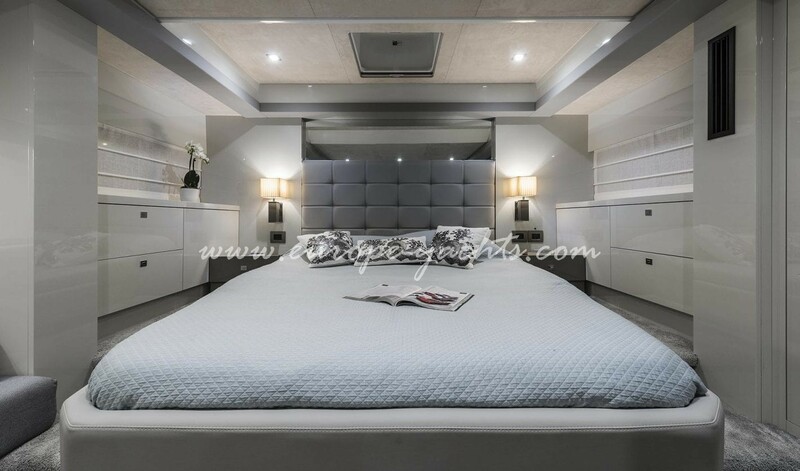 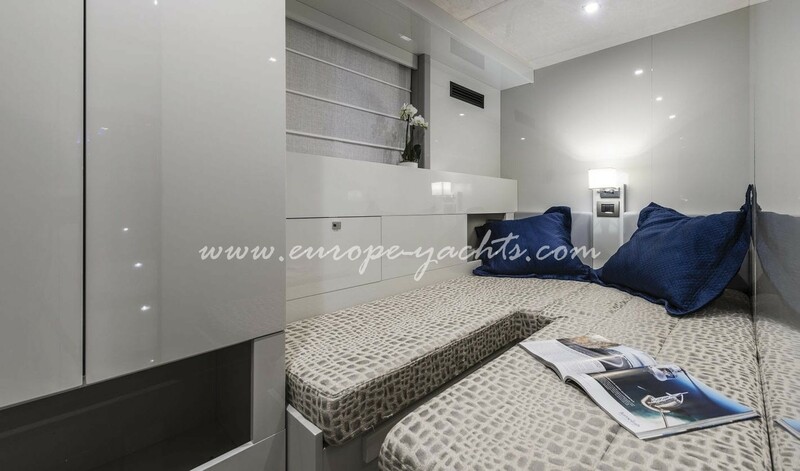 With lot of modern design and features, this amazing new motorboat should be seriously considered for your charter holidays in Croatia along the beautiful Croatia coast with Europe Yachts Charter.